The Singapore study of 2003 (Singapore study: A randomized trial of rigid gas permeable contact lenses to reduce progression of children’s myopia. American Journal of Ophthalmology. July 2003) tested whether rigid gas permeable (RGP) contact lens wear can reduced the rate of myopia progression in school age children. They found Rigid gas permeable lenses did not slow the rate of myopia progression, even among children who used them regularly and consistently. Katz et al. in their study published in Am J Ophthalmol 2003 Jul;136(1):82-90 in a randomized clinical trial tested whether rigid gas permeable (RGP) contact lens wear can reduced the rate of myopia progression in school age children by studying the effect on both eyes of 428 Singaporean children. They concluded that rigid gas permeable lenses did not slow the rate of myopia progression, even among children who used them regularly and consistently. In 2004, Jeffrey J. Walline, OD, PhD of The Ohio State University showed RGP wearers’ myopia progressed less than that of the SCL wearers (Arch Ophthalmol. 2004;122:1760-1766). The corneal curvature of the SCLwearers steepened more than that of the RGP wearers, but the axial growth was not significantly different between the groups. Most refractive error treatment effect was limited to the first year of the trial. The National Eye Institute funded the Contact Lens and Myopia Progression (CLAMP) study, the results of which were published in 2004. CLAMP evaluated myopia progression over a three-year period in more than 100 eight- to 11-year-old patients. Rigid contact lens wearers experienced less myopic progression than soft lens wearers. However, the reduced progression appeared temporary and was not due to stabilization in vitreous chamber depth.19 The growth in axial length between rigid and soft lens wearers was similar. While nothing conclusive can be determined by these studies, some investigators took a different tact and decided instead of trying to determine if RGP lenses helped with myopia control they would attempt to quanify whether soft contact lenses caused myopia to progress faster in children than eyeglasses did through the Adolescent and Child Health Initiative to Encourage Vision Empowerment study (ACHIEVE). Children between the ages of eight and 11 with -1.00D to -6.00D myopia and less than 1.00D of astigmatism were randomly assigned to wear soft contact lenses (n = 247) or spectacles (n = 237) for three years. Researchers found an average rate of myopic change of 0.06D per year more for contact lens wearers than spectacle wearers. After three years, the adjusted difference between contact lens wearers and spectacle wearers was not statistically significant, and there was no difference between the two groups regarding change in axial length or steepest corneal curvature. The study concluded soft contact lens wear by children does not cause a clinically relevant increase in axial length, corneal curvature or myopia relative to spectacle lens wear.” But, while spherical soft lenses prescribed for distance correction do not cause nor inhibit myopic progression, they are frequently an excellent form of vision correction. The Myopia Institute likes to sum all of this data up this way – soft contact lens wear does nothing to make myopic progression worse than it would have been with glasses, but soft contact lenses don’t do anything to slow it down either, while gas permeable wear has been shown in some studies to have an effect and no effect in others. Further studies need to be conducted controlling for lens curvature, corneal malleability and thickness and various other factors that may cause gas permeable lenses to help stabilize myopic change in some individuals but not others, or have no significant stabilizing effect at all. Currently studies are underway at ICEMC to help answer these questions. The Singapore study was designed To test whether rigid gas permeable (RGP) contact lens wear can reduced the rate of myopia progression in school age children. They found Rigid gas permeable lenses did not slow the rate of myopia progression, even among children who used them regularly and consistently. It is unlikely that this intervention holds promise as a method by which to slow the rate of progression of myopia in children. Jeffrey J. Walline, OD, PhD et al, in “A Randomized Trial of the Effects of Rigid Contact Lenses on Myopia Progression”, Arch Ophthalmol. 2004;122:1760-1766 compared the effects of rigid gas-permeable contact lenses (RGPs) and soft contact lenses (SCLs) on myopia progression in children. The RGP wearers’ myopia progressed less than that of the SCL wearers. The corneal curvature of the SCLwearers steepened more than that of the RGP wearers, but the axial growth was not significantly different between the groups. Most refractive error treatment effect was limited to the first year of the trial. 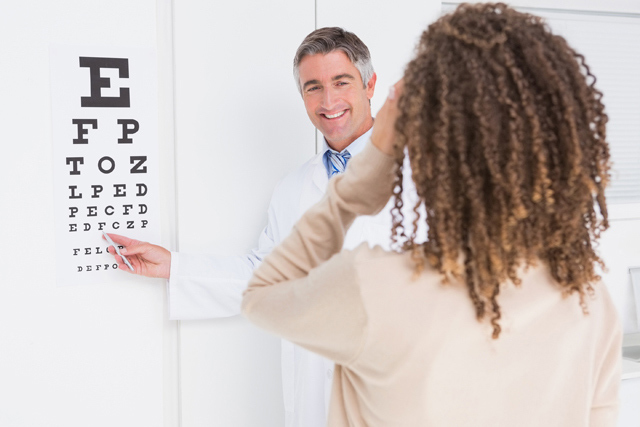 The results of the study provide information for eye care practitioners to share with their patients, but they do not indicate that RGPs should be prescribed primarily for myopia control. Do soft contact lenses cause vision to worsen more than if a child had been fit in gas permeable lenses? In a three-year study of more than a hundred 8- to 11-year olds in the December 2004 issue of the journal Archives of Opthalmology, researchers determined that wearing rigid gas permeable (RGP) contact lenses slowed the progression of myopia by nearly 30 percent, compared to soft contact lens wear. Only recently did researchers find that young children could handle the responsibility of wearing contact lenses. The corneas of the rigid contact lens wearers did not change as much as those of the soft contact lens wearers. This difference, which is not thought to be a permanent change, explains part of the difference between the RGP and soft contact lens wearers, said Jeffrey Walline, the study’s lead author and an adjunct assistant professor of optometry at Ohio State University. PERRIGIN, JUDITH; et al conducted the “Silicone-Acrylate Contact Lenses for Myopia Control: 3-Year Results”, which studied One hundred myopic children between the ages of 8 and 13 years. Assuming that little or no corneal change would have occurred in the absence of the contact lenses, they came to the conclusion that corneal flattening accounts for less than half of the effect of contact lenses in controlling myopia progression. A randomized trial of rigid gas permeable contact lenses to reduce progression of children’s myopia, Am J Ophthalmol. 2003 Jul;136(1):82-90 tested whether rigid gas permeable (RGP) contact lens wear can reduced the rate of myopia progression in school age children. They concluded Rigid gas permeable lenses did not slow the rate of myopia progression, even among children who used them regularly and consistently. It is unlikely that this intervention holds promise as a method by which to slow the rate of progression of myopia in children. A randomized trial of the effect of soft contact lenses on myopia progression in children. Walline JJ, Jones LA, Sinnott L, Manny RE, Gaume A, Rah MJ, Chitkara M, Lyons S; ACHIEVE Study Group. Soft contact lenses have been reported to increase the progression of myopia. The purpose of this study was to determine whether soft contact lenses affect the progression of myopia in children. The data in this study provides reassurance to eye care practitioners concerned with the phenomenon of “myopic creep.” Soft contact lens wear by children does not cause a clinically relevant increase in axial length, corneal curvature, or myopia relative to spectacle lens wear. (ClinicalTrials.gov, NCT00522288. ).